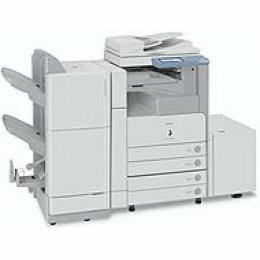 Ideal for medium- sized businesses and workgroups alike, the imageRUNNER 4570 model offers a number of energy- and time-saving features to help reduce costs and meet those important deadlines. And, with innovative hardware and system accessories, you can configure a system to suit your specific needs. For all configurations, an easy-to-use, full-color touch-screen interface provides quick, intuitive operation of all device functions.